This is a long-lasting gift of growing plants in a classic white ceramic container. 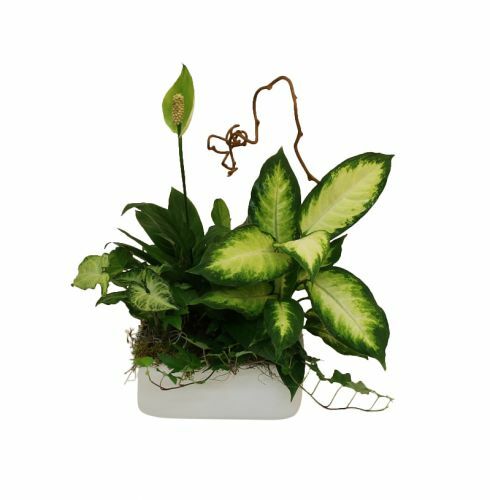 A Peace Lily, Dieffenbachia, Nephthytis and Ivy are accented with kiwi vine. A tasteful expression of your care. Substitution may be necessary.